Optional Activated Carbon & Potassium Permanganate Filtration The Guardian Carbon Filter Frames are an improved way to provide gas and odor filtration. The 20-gauge galvanized metal frames are available in 24” x 24” x 2” (Part No. 4024764) for the Guardian HEPA System™. There are several advantages to using the Carbon Filter Frames instead of manufactured carbon filters: • The media will stay “fresher” stored in the 5 gallon bucket. • Loading the filter by the job provides the opportunity to adjust the amount of media for the specific job. • Substantial savings are realized by using the filter frame over manufactured carbon filters. 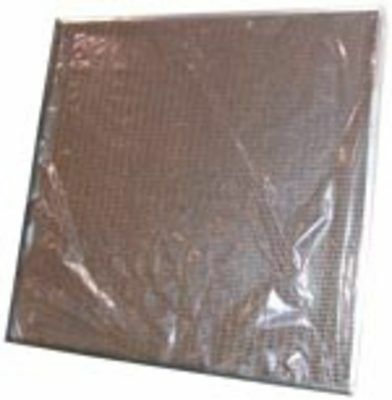 • Replacement foam liners and honeycomb inserts are also available.